Some jobs are said to be as clean as a whistle while others sound as dirty as a pig sty. 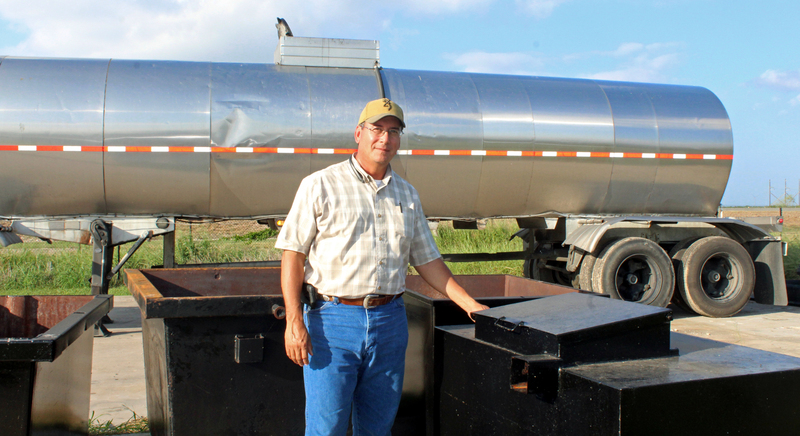 One successful Rio Grande Valley enterprise that some people might consider to fall in the latter category is recycling used cooking oil. 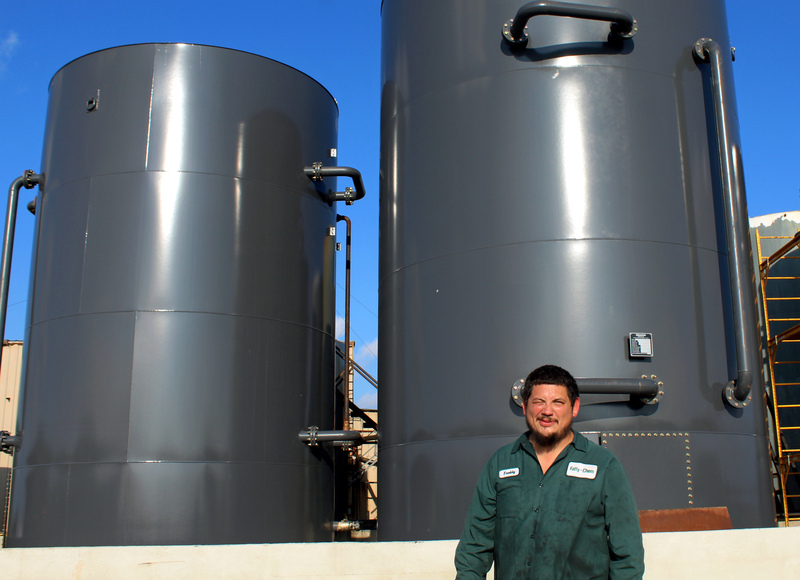 A Los Fresnos-based company called Fatty Chem By-Products Inc. bills itself as a full-service recycler of fats and oils, with some of the byproducts having been used in products like animal feed, biodiesel and even for making women’s cosmetics. Formerly known as South Texas By-Products, the company was founded in 1965. It has undergone several name and ownership changes, but has operated under its current moniker since 2003. Plant manager Hector Martinez said Fatty Chem recycles used cooking oil from just about any business that sells, cooks and prepares meals, meaning the company has a customer base that includes mom-and-pop diners, large franchise restaurants, school districts and even some multi-national companies. Martinez said a fleet of 18-wheeler tanker trucks routinely travel the Valley and as far away as Laredo and Corpus Christi to pick up used cooking oil. The company provides collection containers for businesses to dispose of their old oils, which is then picked up by the tanker trucks. One of Fatty Chem’s tankers can haul 80,000 pounds, or about 10,000 gallons of oil. Besides the bigger companies they deal with such as Walmart, Wings, Dairy Queen, Pizza Hut and most of the school districts in the Valley, Martinez said they also pick up spent oil from smaller customers like Julia’s and Tapia’s restaurants in Los Fresnos. They also handle about 85 percent of the businesses that prepare and sell food on South Padre Island. Once a tanker gets a load of the used cooking oil, the product is hauled to the plant east of Los Fresnos along Texas Highway 100. The oil goes into one of several tanks where it’s heated to 200 degrees by way of a steamer, cooking for about 24 hours. It’s ready to be shipped out once it reaches a certain humidity level and debris like pieces of bones have settled to the bottom of the tanks. Martinez said the recycled cooking oil goes to customers south of the border, ending up in several regions of Mexico. Juan Gallegos, a 26-year veteran with the company, said the operation started out processing bones they picked up from restaurants all around South Texas. The bones were crushed and turned into a powder that could be used in making feed for chickens and hogs. After that, the plant started processing and recycling used cooking oil. As the Valley continues to grow, a segment of which is an explosion in restaurants, Fatty Chem gains new customers. Martinez said business is so good the company plans to add more trucks and processing tanks to handle the demand. 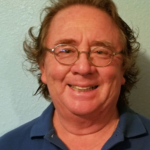 Although Fatty Chem dominates the market for this type of work in the Valley, Martinez said an unlikely competitor has caused the company headaches and losses. Thieves have been siphoning off the used cooking oil from Fatty Chem collection containers and selling it on the black market. “We have been having this problem in the Upper Valley,” he said. “For some reason, it is more prevalent in that part of the region than in others.” To counter the thievery, Martinez said the company has been ordering new containers with heavier lids and other security features to make it more difficult to steal the product.